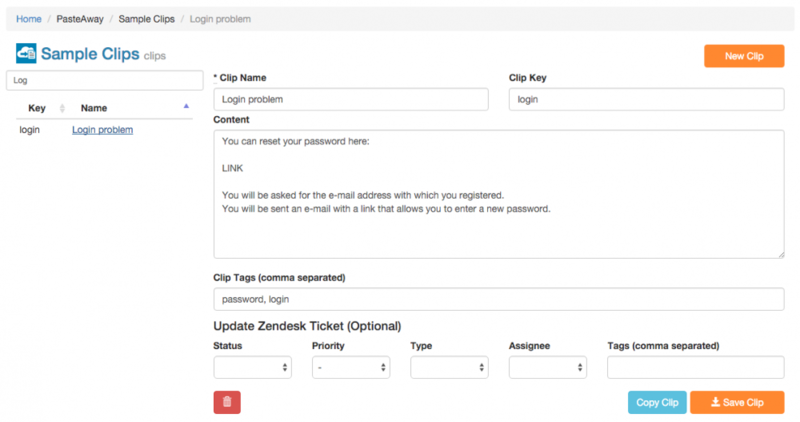 Here is an example of the page on which you can manage the clips within a project. This block shows you the team and project and the name of the active clip (the clip that you are currently editing). By clicking on ‘Home’ you will go to a dashboard view of all your teams and projects. By clicking on the project name (“Sample Clips” in the screenshot above), you can update the name of the project. The table on the left shows an index of all the clips within the current project, this index is filtered based on the content of the search box. For all clips the clip-key and name are being displayed. By clicking on a clip name you can make that clip the active clip and edit it. You can save your changes by pressing the ‘Save Clip’ button.